2014, HANNA KRÜGER [ DIE SAMMLUNG ] – A COLLECTIVE STRUCTURE, 840 x 594 mm, font Replica, digital print MAK Vienna. Collage of materials from the online archive of MAK Vienna and photographs of the works from designer Hanna Krüger. 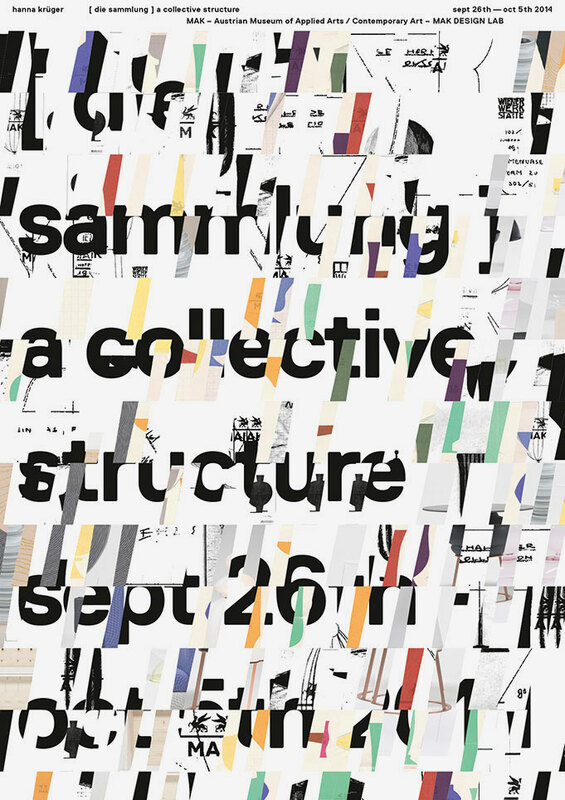 2014, HANNA KRÜGER [ DIE SAMMLUNG ] – A COLLECTIVE STRUCTURE, 840 x 594 mm, fonts: Replica, digital print MAK Wien. Collage of materials from the online archive of MAK Wien and photographs of the works from Hanna Krüger.